Frontier IP (LON:FIPP), a specialist in commercialising university intellectual property, today announced that Matthew White has joined the Board of Frontier IP with immediate effect. 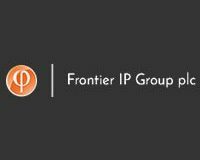 Matthew was appointed to the senior management team of Frontier IP as Director of Commercialisation on 17 September 2018 and will continue in this role. Neil Crabb, CEO of Frontier IP Group plc, said: “Matt has proved a great addition to our team since joining us last year with his expertise helping to drive innovation for a FTSE 100 group and, before then, working for a leading Cambridge consultancy. Matthew has over 23 years’ experience in technology, product and service innovation, business development and marketing. In his previous role he was Head of Innovation at AB Sugar, part of FTSE 100 group AB Foods. He also has extensive experience working with university partners. Before joining AB Sugar, Matthew was Director of Consumer Products for international technology consulting and product development business, Sagentia Limited, working across a wide range of sectors. He started his career at Neotronics Scientific, one of the first companies to commercialise electronic odour sensing. He has a Natural Sciences degree majoring in Chemistry from the University of Cambridge.